In times of genuine Hardship, customers and/or their financial counsellor may contact our accounts team who can promptly address their circumstance or concerns. The Chief Financial Officer will liaise directly with the customer to address any issues. BINARY NETWORKS will accept reasonable payment arrangements, mutually agreed upon, taking into account each customer’s individual circumstances. For a current list of community financial counselling services consult the Financial Counselling Australia website: www.financialcounsellingaustralia.org.au or if you are experiencing financial difficulty, you can also contact a free and independent financial counsellor on 1800 007 007. 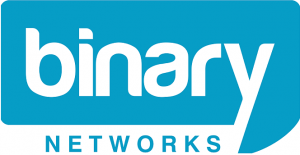 BINARY NETWORKS considers financial hardship a state that involves an inability of the customer to pay bills, rather than an unwillingness to do so. Customer hardship can arise from a variety of situations. Hardship can be either of limited duration or long term. To illustrate, several of the common causes are listed below. Loss of employment by the consumer or family member. Illness including physical incapacity, hospitalisation, or mental illness of the consumer or family member. Abuse of the service by customer (e.g. from use of 190X numbers, GPRS). Abuse of the service by a third party leaving the customer unable to pay the account. The basic principle of any agreed financial arrangement is that the repayment should be sufficient to cover expected future use of the service (as adjusted to ensure the customer’s financial position does not worsen over a reasonable period of time) as well as providing continued reduction of debt at a reasonable level (i.e. the customer should not be going into further debt under the arrangement). To enable this to occur, there are options available to our customers to manage the use of their services. For example, we may agree to restrict access to a service, transfer a post-paid contract customer onto a pre-paid service, or bar access to certain call types. To assist us in assessing your application for hardship assistance, we will need you to provide your account details and other personal information so that we can identify you as the account holder of the service. Depending on the circumstances of your application, we may also require documentation in support of the information you provide to us as part of your application (e.g. a letter from your doctor if your hardship is due to illness). If we will require such supporting information from you, we will advise you when we discuss your application with you. For some business customers, we may ask for copies of financial documents to ensure you have the capability to pay the outstanding debt. We may also perform credit checks or ask for trade references.